500 grammes, soit 5 tickets pour une journee. sucre, qui correspond a la ration journaliere de cette denree. representes par les 10 tickets de 25 grammes chacun. moindre ou superieure, de meme que les militaires ve? 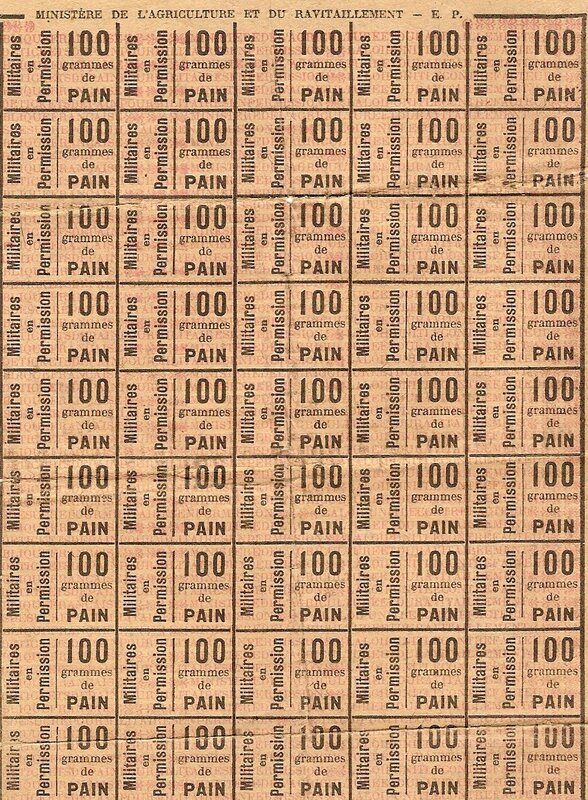 preposes a la delivrance des tickets de pain. scrupuleuse les decisions ministerielles qui viennent d'etre enoncees. loi da 10 Fevrier 1918 (Decret d 27 Jain 1918). not provided d' an individual chart d' food each ticket corespond has 100 grams of bread and present sheet is established for a daily consumption of 500 grams, that is to say 5 tickets for one day. 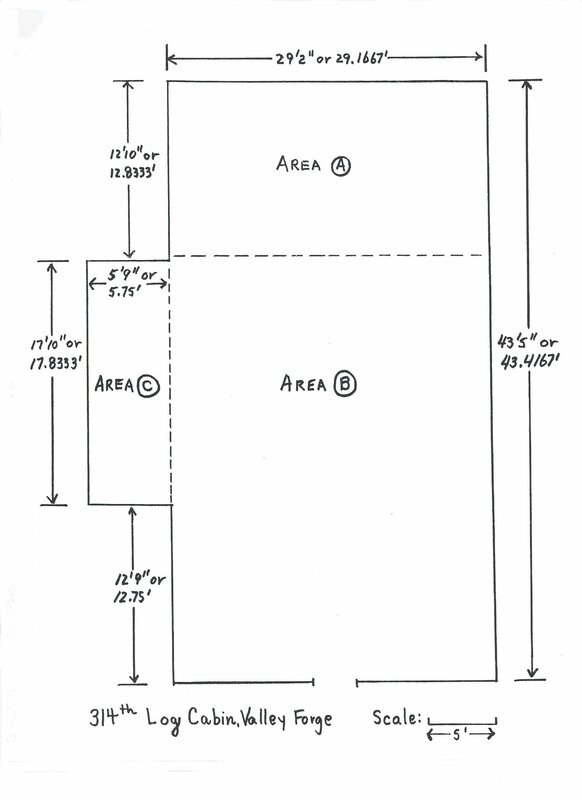 Each section horizentale of 5 bread tickets comprises, in its left end, a ticket valid for 25 grams of sweeten, which corresponds to the ration day labourer of this food product. The soldier coming in permission from relaxation 10 days will have faculty, by cutting out l' vertically; together sugar tickets d' to obtain in only once the 250 grams of this food product represent by the 10 tickets of 25 grams each one. 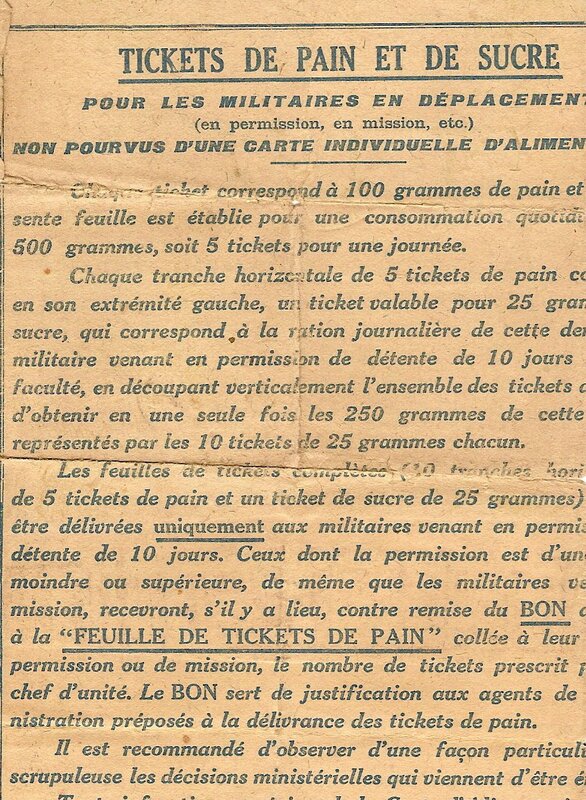 Complete feulles of tickets (10 horizontal sections of 5 tickets of bread and a ticket of sugar of 25 grams) doiovent to be delivrees only with the soldiers coming in permission from 10 days relaxation. Those whose permission is d' one duration less or higher, just as the soldiers ve? mission, will receive, s' it is necessary, against handing-over of the GOOD adhdrent with the " BREAK INTO LEAF OF TICKETS DE PAIN" collee has them titrate permission or of mission, the number of tickets presrit by lear d' chief; unite'. The GOOD is used as justification with the agents of l' Administration employees with the delivery of the bread tickets. It east recommends d' to observe d' a way particularierement scrupulous the ministerial decisions which come d' to be enoncees. Any infringement with the mode of the Chart d' Food and of the Tickets of consumption is liable to the peinea edictees by the law da February 10, 1918 (Decree D 27 Jain 1918). "So terrible had the food shortage there become that the daily rations had been cut to the minimum that would sustain life and strength. The peasant population of continental Europe, which means a large part of the people, lives principally upon wheat in one form or another. In France bread is literally the staff of life, normally constituting 52 per cent. of the Frenchman's food. Yet the French bread ration was successively lowered until at one time it reached seven ounces a day per capita. In Italy, the sale of macaroni was entirely prohibited in certain districts, an the bread ration was cut to eight ounces a day. Hard-working laborers were allowed fifteen ounces. In both of these countries even the bread ration of the soldier was sharply reduced - a measure to which resort it had only in situations of direst necessity. Indeed, many well-informed persons attribute the disaster of 1917 on the Italian front to the lowering of morale consequent upon the cutting of the bread ration. The soldier well knew that if his food was cut his family must be well-nigh starving to death." "The cost of living had been rising since the beginning of the wwar; but in 1917 it shot up precipitously. The winter was unusually cold, and since France's coal-producing Nord was occupied by German armies, coal was in short supply. Bread and potato supplies were controlled, but the price of meat soared and milk and butter were controlled, but the price of meat soared and milk and butter were hard to come by at any price. Sugar was so scarce - also as a result of the German occupation - that on 1 January 1917 the government ordered pastry shops to close two days a week, and in March issued sugar ration cards. In May it began the same pattern with meat by ordering two meatless days a week, during which butchers and restaurants were forbidden to sell meat, with the prospect of meat rationing in the future." A very long web page (in French) can be found here, and which has many different scans.